Appliqued Australiana. 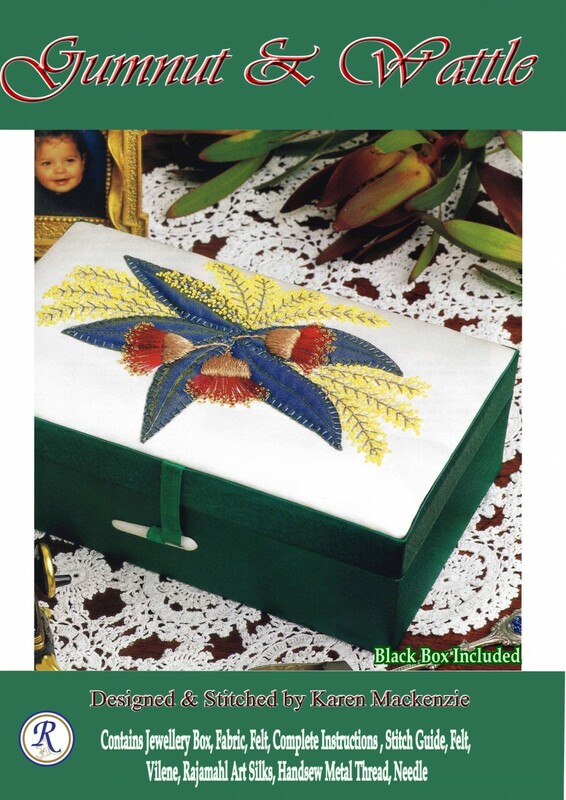 This lovely Kit designed for a jewellry box Contains Ivory Satin. Green Fabric, Vilene, Felt, complete Instructions, Rajmahal Art Silks, Rajmahal handsew metal Thread and Needles. Please note: kit does not contain a box. Click the button below to add the Gumnut & Wattle Kit to your wish list.